*We could have multiple Web Access Servers (perhaps even each Session host as a Web Access Server which would be overkill for most environments) here we’ve gone for just the one. VMware Tools is installed prior to installing RDS Session Host. And restart taking a note of any warnings. Note: There is a limit of 3 syspreps before requiring re-arm. 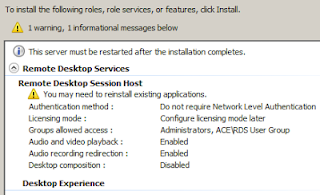 The first session host (or whatever session host is later decided to be sysprep-ed) is never actually sysprep-ed, just the clone, hence we can keep adding/removing apps and follow the clone process to create new session hosts. Did you sysprep the server using the generalize button? 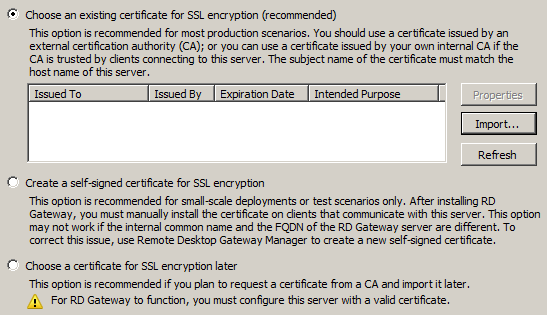 When I choose generalize I am unable to RDP back onto the server. Without generalize it is OK.
Great article. I noticed you used the number "2." twice. Threw me off... I kept looking for 3. !! That's half-guide of preparing to build a farm. 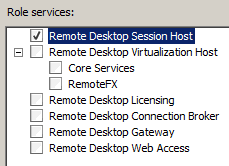 Starting with creating RDS OU and RDS Group... and what's next? What should be included in that OU and in that group? 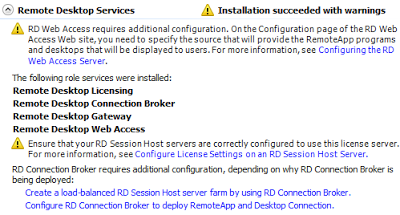 Create a separate server as RDL, RDCB, RDG, RDWA and then? Nothing how about creating Farm, including RD Hosts in the farm, nothing about Folder Redirection or lets call it Roaming Profiles and etc. 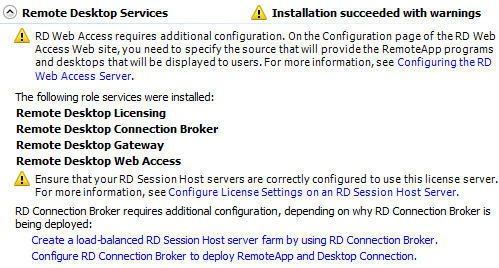 As I said, half of the guide how to start building a farm installing Roles on specified servers, but nothing how to setup that farm. Even as a Quick Note is not enough. It's true. For me was easier to write my opinion about this guide instead of writing my personal guide on a Blog that I don't have. But lets be honest and look at this from another angle. I get your point, it's far from being even half a guide to be honest. You've got to put it into context though, when I was faced with having to build my first ever RDS farm (then working as a jack-of-all-trades IT delivery consultant), these notes were enough to get me pointing in the right direction. If you want all the gory details of building an RDS farm, a Lone Bloggers ramshackle blog isn't the place to expect to find them.